When you have water damage from a washing machine, leaky dishwater, overflowing toilet, bathtub running over, or other water loss, immediately removing the standing water is a priority. We will work quickly to extract the water, from carpeting, under the wood flooring and deep in the walls. 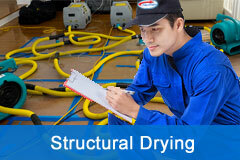 We’re Tampa’s leader in structural drying. We use innovative sensor technology that detects moisture deep inside walls. Our sensors are kept in place during the drying process, monitoring moisture continuously and automatically documenting it for insurance, helping to prevent documentation denials and confusion. 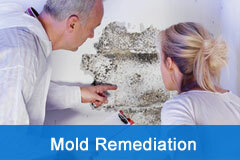 Cleaning up mold properly requires experienced and trained technicians. Once we perform an initial inspection, we will create a comprehensive mold remediation plan based on the extent of the contamination. Mold can be extremely toxic and special care must be taken not to allow the mold spores to spread. NextGen is a state licensed contractor and handles every step of the rebuilding of your structure, from minor repairs to full construction services. Many restoration companies can only provide initial water damage services and hire a contractor to do the rest. With NextGen we do it all for you, one call does it all. Other companies use non-penetrating moisture meters that only measures the surface area and the first ½” of a 5½" wall assembly. Insurance companies often limit drying equipment to 3 - 5 days to reduce claims costs without regard to whether or not the structure has reached Dry Standard. With drying times limited and inadequate moisture detection equipment, structures are left wet enough to support microbial mold growth. Human error, data tampering and fraud is a common problem in the industry and inflates claims costs. Techs take moisture, humidity and temperature readings 1x per day and log them manually. This provides limited data as well as high chance of human error. Insurance companies "preferred vendor" programs can lead to contractors cutting corners to appease the insurance company. Learn about these programs BEFORE you hire a contractor. Daily access to site required to take readings and check if equipment is performing correctly. Manually has to report to customer and insurance adjuster. We use state of the art thermal imaging to find moisture in the area then use advanced deep penetrating electronic sensors that can detect moisture at 3½” of a 5½ wall assembly. We keep drying equipment in place until our hi-tech moisture sensors show conditions, materials and the structure is dry. If it's not dry, mold will develop. We are Tampa's leader in re-drying homes previously left wet by other contractors. Our technology gives us the ability to certify when Dry Standard is reached. Our advanced technology automates the data collection and documents it, providing error and fraud proof reports. Our wireless sensors automatically monitors and documents conditions on site and during the drying process. Automating the process provides data that is indisputable. We work for you and provide extensive reports for your insurance carrier. We have no hidden agreements with your carrier. Our goal is restoring to pre-loss condition at a fair price. We remotely monitor the job 24/7, an alert system notifies us of any problems in drying conditions or equipment performance. Remote login for customer and adjuster to see job status 24/7. Working with insurance companies and contractors can be intimidating, and often homeowners sign off on a job without realizing it was not done correctly. Get Dry Check Inspection, make sure your job is done the right. State of the Art Penetrating Electronic Sensors – DAMP (Deep Assembly Moisture Profiling), electronic wireless sensors that detect moisture at 3½ inches into the layers of the typical 5½ inch wall assembly. Our competitors use non-penetrating sensors that can only detect moisture at on the surface and only up to ½ inch. When water intrusion occurs it normally seeps deep into the wall where it cannot be seen, soaking drywall, insulation and your wood framing. Hidden moisture can grow mold in hours, it’s critical to dry the area as quickly as possible. Many jobs are left wet by other companies and no one discovers it until the smell of mold develops. Our system is more accurate and we have the results to prove it. With insurance carriers consistent allegations of abuse by restoration companies, our system provides a third party validated solution that guarantees integrity in the data collection process and subsequently in the billing. Why is this important? We remove the chance for human error, data tampering or fraud. You need accurate documentation and reports that are above reproach when submitting claims. Innovative technology is at the core of everything we do. Our state of the art equipment, comprehensive standards based testing procedures, inspection, and constant monitoring, produces more complete data collection which allows for in-depth reporting, that ensures every job has been done right. We provide an extensive array of written, printed, digital & photographic documentation that protects all involved parties from questions arising as to the quality, quantity, and level of service provided. We believe the industry can be more proficient in transparent fact-based, claims processing, which serves all parties – insured, carrier and contractor. Our DAMP - (Deep Assembly Moisture Profiling) utilizes remote sensors which stay in place during the throughout the process, tracking moisture content in wood and structural materials and transmitting the data to a secure cloud for storage and archiving. When water damage occurs, the moisture and water vapor are released into the structure. Our sensors constantly measure the ambient conditions (Relative Humidity, Temperature, GPP) and more, 24 hours a day. Monitoring drying equipment is essential. Our dehumidifiers are equipped with wireless sensors that monitor the performance and output 24/7. Our system will alert our tech within minutes if the site isn't drying as expected. By storing the data collected from the job site on a third party secure cloud, we can provide the highest level of data integrity. The data cannot be altered in any way, with a clear chain of custody. 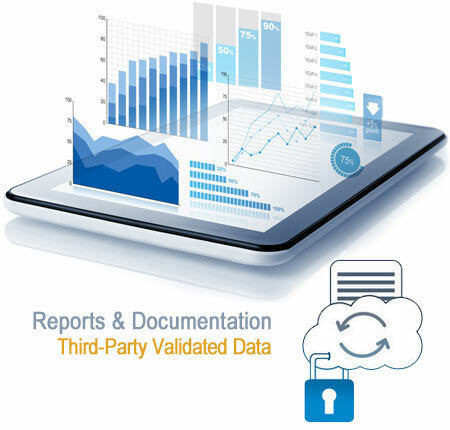 This third-party validated documentation provides accountability and ensures integrity in the billing process. MIT's proprietary software takes the large volume of complex technical data and job site information, and organizes it into comprehensive reports that are easier to understand and review. Provides full transparency on the loss to all parties. Remotely monitoring of the job by our techs to ensure any environmental changes are instantly detected. Our customers and the insurance adjuster can also remotely log in from any web browser to see the drying progress at any time. My condominium association called in their preferred vendor who came in and did several days of drying. They left saying that my unit was dry. Within 2 weeks, I was getting concerned my unit might still be wet from the odor…. Since I thought the amount given to me by the insurance company for repairs was well below what I felt necessary, I decided to contact someone to do another inspection and estimate. When I called NextGen, they scheduled an appointment at my convenience and came when they promised. Upon arrival, they performed an investigation to confirm that the unit was actually wet. After that, they took me from room to room and SHOWED ME that the structure was still wet by pointing out exactly where. I would have never known this without their tools and knowledge and I would have had to live with the resulting water and mold damage that was left behind. 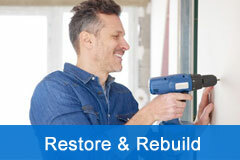 NextGen Restoration is a trusted water damage repair company in Tampa. Our expert restoration team will take care of all the damages to your property. We specialize in restoring our clients’ homes after any type of water damage. 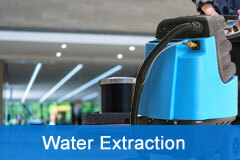 We also help them start mitigation and recover from the losses. Working with insurance can often be daunting but we’ve had years of experience and can help. Our team provides excellent personalized service to meet every customer’s needs and demands.